In the general contracting business, it is important to provide only the best and the most reliable tools and equipment to be used by the workers on the site. It is important that the equipment the workers are going to use don’t cause headaches and just sheer functionality. Thus, being very keen as to finding and purchasing the right tools and equipment is a must, not only to have a hassle-free and problem-free building construction but to guarantee that the building is constructed using high-quality materials, tools, and equipment. In the contracting business, it is essential to have a heavy-duty and a reliable wheelbarrow. It has a simple yet an efficient structure.It is durable and rust-resistant. It can be used on any terrain. Its functional structure makes it stable to use. It is easy to turn and maneuver. It is the best wheelbarrow choice for construction use. It can also be used for household purposes. The contractor wheelbarrow’s assembly instructions are not clear. The wheelbarrow’s tire requires being regularly inflated. The wheelbarrow’s bolts are quite loose and of low-quality. The wheelbarrow’s handles lack paint finish, making it quite weak when exposed to harsh conditions. The wheelbarrow has no solid steel tray and handle protection when purchased. Unlike other wheelbarrows, the Jackson wheelbarrow only has a simple structure and design. It only has a center wheel situated in the front of the wheelbarrow supported by an H-brace and a stand to allow you to maneuver the wheelbarrow with ease and put it down in a balanced manner, which avoids spilling what is inside the wheelbarrow. Even though its structure is one of the simplest ones you can see in the market, it is greatly functional and was intelligently-designed. One of the important things you must look for in the wheelbarrow is its ability to be used for a long period. This can be assessed through the wheelbarrow’s resistance to rust. Well, this wheelbarrow has a rust-proof steel tray, allowing you to use it with anything, anytime and anywhere. 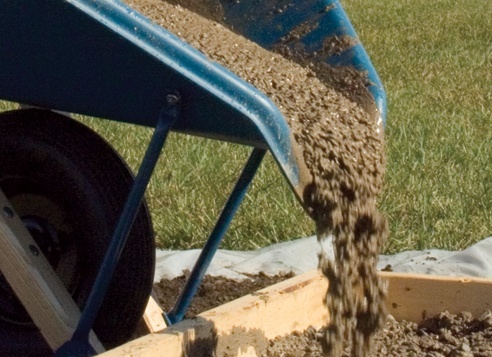 Engineers recommend that jackson wheelbarrow is the best wheelbarrow for concrete. With its rust-proof feature, it is guaranteed that this wheelbarrow is going to be of great service and use to you even in the years to come. This Jackson wheelbarrow is made with a construction that is tough and heavy-duty. It has an H-brace and a stand that supports the wheelbarrow’s steel tray and makes it balanced and easy to use. Also, its position ensures that the load in the steel tray does not easily spill. 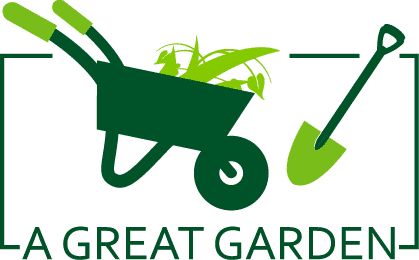 This wheelbarrow does not only have a sturdy structure, but it also has a tough paint which makes the wheelbarrow look good and rust-free even for a long period. This wheelbarrow is guaranteed to run smoothly on any terrain; rocky or plain. It has a large center wheel located on the front of the wheelbarrow, and the Jackson wheelbarrow tire is a 16-inch tube tire. Thus, it is not just durable, but also rolls smoothly even if the road is paved or unpaved. These smooth-rolling and durable tire features of the wheelbarrow unleashes it optimum performance, making it very useful in construction jobs where the road is usually rocky, dusty and muddy. This wheelbarrow is the best wheelbarrow for contractor job site since it is specially made for such use. It has stable cross strips and a unique hydraulic system which maximizes the Jackson wheelbarrow’s hauling power. Besides, the wheelbarrow’s leg shoes also offer stability, making the entire wheelbarrow easy to use even if it passes through rocky and unpaved roads. Though this contractor wheelbarrow is specially made for contractor job site, this can also be used for household purposes, making the it resilient and multi-purpose. 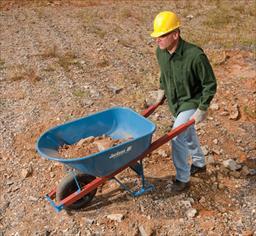 This Jackson 6 cu ft contractor wheelbarrow is perfect for any loading use. Even if you use it in loading strong, semi-liquid objects, you don’t have to worry about the wheelbarrow being tarnished, since Jackson wheelbarrow parts, especially its steel tray, are rust-proof and durable. It is easy to load and unload objects using this wheelbarrow, offering you utmost convenience. Also, this wheelbarrow is specially designed and made for construction use, making it the best wheelbarrow contractors usually choose and recommend to others. This Jackson wheelbarrow would take around half an hour to be completely assembled. It comes with necessary bolts when purchased, but I highly recommend that you put super glue on the bolts so its nuts would not loosen over time. In addition, it is possible to assemble this contractor wheelbarrow alone. However, it would be easier for you to have someone assist you during the assembly. 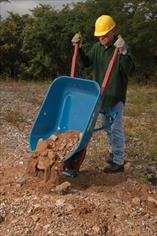 Download assembly guide of jackson M6T22 blue wheelbarrow. See this video about how to use a wheelbarrow . To whom is it made? This Jackson wheelbarrow is specially made for contractors who are looking for a reliable and a heavy-duty wheelbarrow in the construction site. However, this wheelbarrow is not only limited for general contracting use, but also for household or personal use. Q: Can I inflate the wheelbarrow’s tire using a bicycle pump? A: Yes, you can. Just make sure that the pump is for tires with a Schrader valve, since the Jackson contractor wheelbarrow tire has a Schrader valve. Q: Is the wheelbarrow well-packaged to avoid the contents inside from getting dented? A: The wheelbarrow’s parts are put in boxes, but its packaging is not safe from getting damaged inside. The parts inside the boxes can be susceptible to some minor scratches. Q: Will the wheelbarrow’s tire become quickly deflated? A: Yes, the wheelbarrow’s tire tends to become easily deflated. Thus, you need to inflate it regularly. With all the benefits and features this wheelbarrow has no wonder that it is the best wheelbarrow for concrete as chosen by most contractors. It has a capacity of 6 cubic feet and has a simple yet a greatly functional structure.This contractor wheelbarrow can be easily maneuvered in any terrain. It has a structure which offers an optimum stability and smoothly rolls even if used in unpaved roads. Moreover, Jackson wheelbarrow is made with durable materials, making it heavy-duty and its steel tray rust-proof.Even though this contractor wheelbarrow’s tire needs regular inflation and its bolts tend to be loose, still, the advantages it provides outweighs the downside of this wheelbarrow. Also, this disadvantage can be easily corrected. Thus, this Jackson contractor wheelbarrow is no doubt the best contractor wheelbarrow, giving you the best value for your money.